Thanks to Design Bolts | Free Mockup PSD files & Tech for this awesome Mockup! So, for today’s blog we decided to share the benefits of marketing a brand or service through a flyer. But that’s not it. We have also worked on an A4 size flyer mock up for you guys. 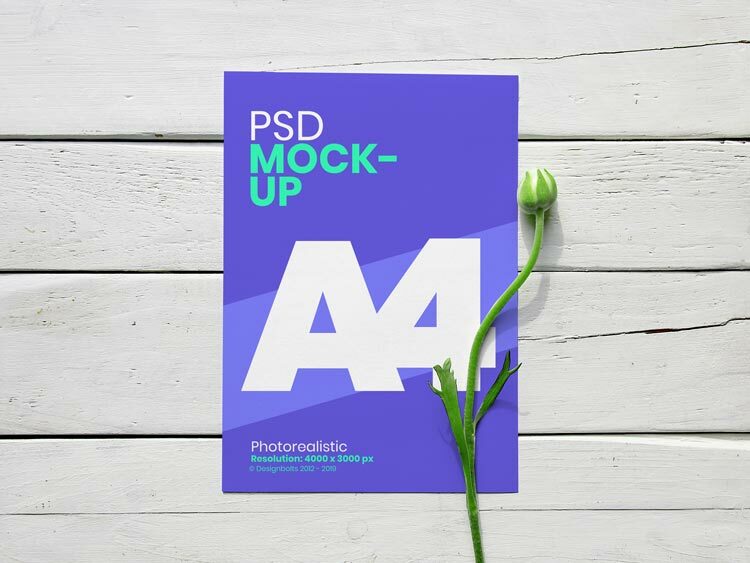 With this free to download and easy to use mock up PSD file, you will be able to evaluate how the flyer will look like after being printed as a hard copy. In addition to that, you can add in relevant design elements to the mock up too.